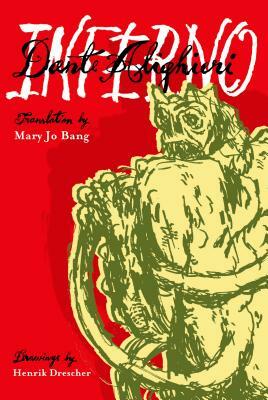 Award-winning poet Mary Jo Bang has translated the Inferno into English at a moment when popular culture is so prevalent that it has even taken Dante, author of the fourteenth century epic poem, The Divine Comedy, and turned him into an action-adventure video game hero. Dante, a master of innovation, wrote his poem in the vernacular, rather than in literary Latin. Bang has similarly created an idiomatically rich contemporary version that is accessible, musical, and audacious. She's matched Dante's own liberal use of allusion and literary borrowing by incorporating literary and cultural references familiar to contemporary readers: Shakespeare and Dickinson, Freud and South Park, Kierkegaard and Stephen Colbert. The Inferno--the allegorical story of a spiritual quest that begins in a dark forest, traverses Hell's nine circles, and ends at the hopeful edge of purgatory--was also an indictment of religious hypocrisy and political corruption. In its time, the poem was stunningly new. Bang's version is true to the original: lyrical, politically astute, occasionally self-mocking, and deeply moving. With haunting illustrations by Henrik Drescher, this is the most readable Inferno available in English, a truly remarkable achievement. Dante Alighieri (c.1265–1321) is the author of The Divine Comedy, a masterpiece of world literature.